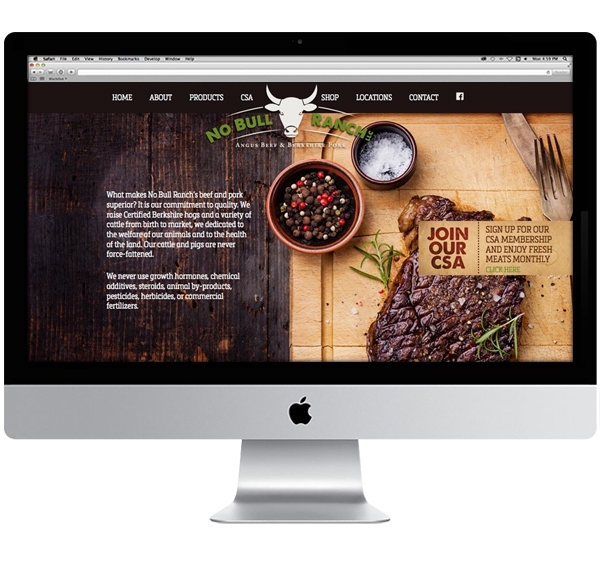 We are proud to announce our newest completed website for No Bull Ranch, LLC! Our goal with this redesign was to create a functional and responsive e-commerce site for this local, all natural beef and pork farm. Photography of savory, hand cut meats and fresh herbs and spices on clean backgrounds mirror the superior quality of No Bull’s products. Our designer, Jess, envisioned a website with a rustic, country feel, with deep rich colors and that’s just what the client ordered! The overall feel of the website is farm to table brought to life!